Bobwhite quail; photo by Roberto González on Flickr (use permitted with attribution). Also known as a partridge, the bobwhite quail is a small, chunky brown bird with a short tail. 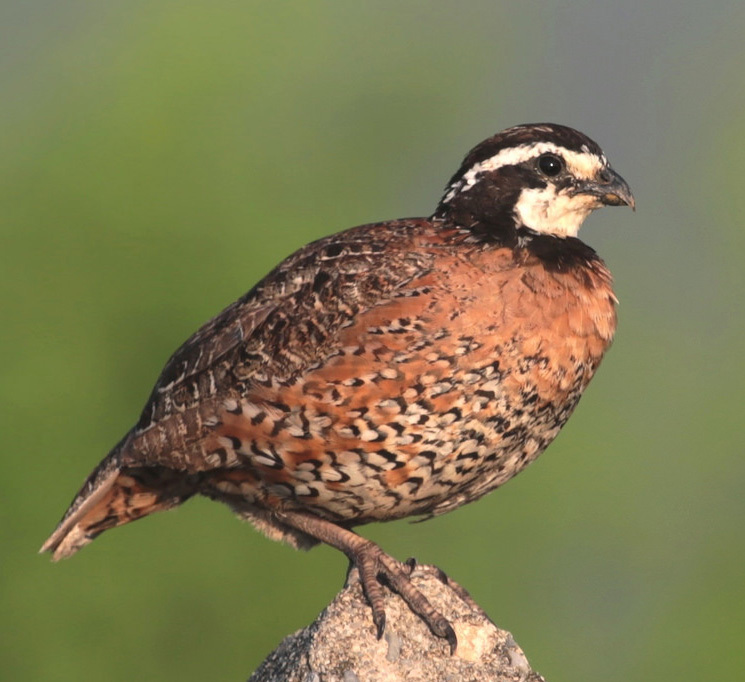 The male bobwhite quail has a sharply-defined white throat and white stripe above the eyes (female has a buff-colored throat patch and eye stripes). In spring the male bobwhite whistles a clear bobwhite call which the female answers with a 4-syllable whistle. The bobwhite hen lays 10-20 white eggs (more than almost any other bird). 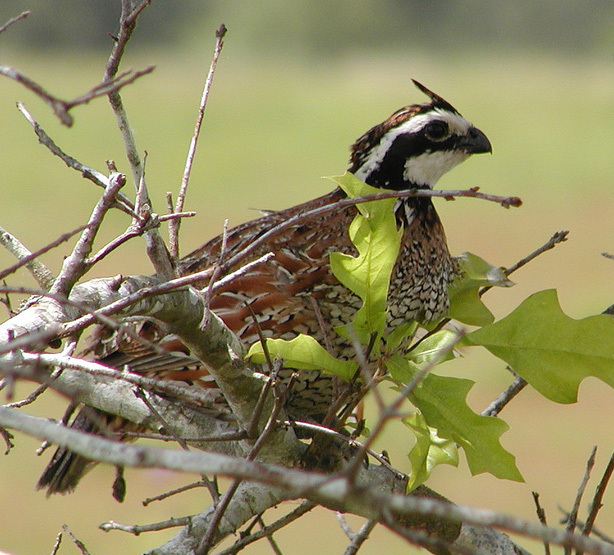 Bobwhite quail; photo by USFWS on Flickr (use permitted with attribution).